In this model, the display is used as an antenna. 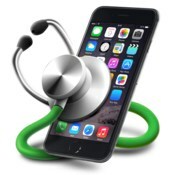 Moreover, this design feature did not negatively affect the maintainability of the device. 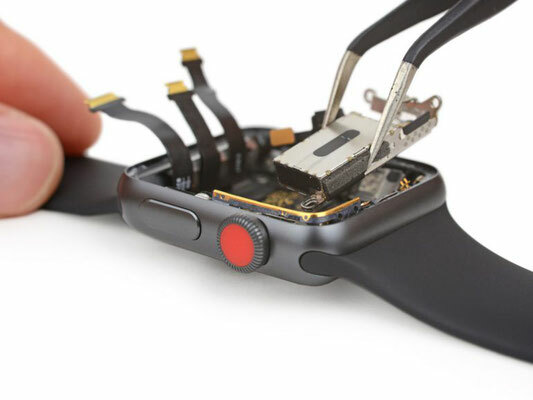 As a result of disassembly, the new smart watch Apple Watch Series 3 received a maintainability rating of 6 out of 10. Note that the maximum score of 10 corresponds to the most easily repairable devices. Thus, the model under consideration is quite well repairable. This indicator remained unchanged compared with the previous generation model. And for the Apple Watch Series 1 version, the maintainability rating was 5 out of 10. It is noted that in the internal structure the changes are not particularly significant. In addition to the already mentioned display with antenna function, the novelty uses the Apple S3 chipset with a 2-core processor. Also available are new chips, responsible for mobile communications: LTE-modem and eSIM module. 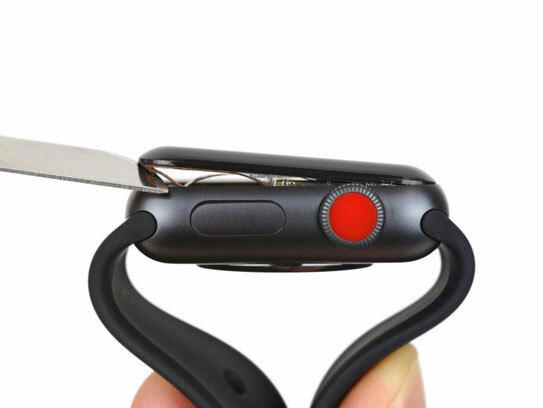 In addition, in the smart watch Apple Watch Series 3 is available barometer, designed to improve the accuracy of tracking exercises. 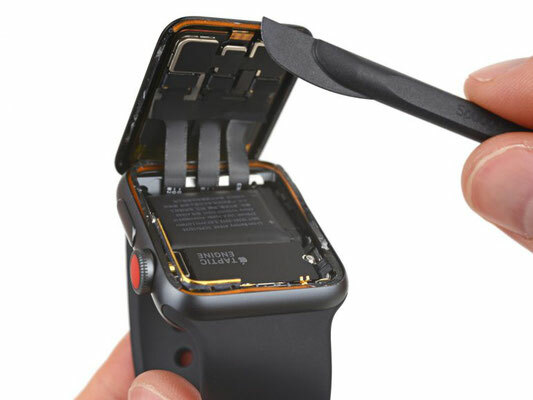 Apple engineers slightly increased the battery capacity in the smart watch Apple Watch Series 3. The new clock uses a battery capacity of 1.07 Wh (279 mAh, 3.82 V). For comparison, in the Series 2 model, a battery of 1.03 Wh (273 mAh, 3.77 V) was available, and in Series 1 it was 0.78 Wh (205 mAh, 3.8 V). 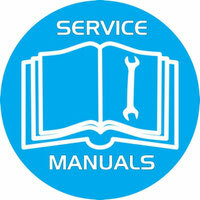 Now consider the aspects that affect the maintainability of the novelty. It is noted that the replacement of the strap remains quite fast and simple. Although the replacement of the display can no longer be called a simple procedure, but it is quite feasible. 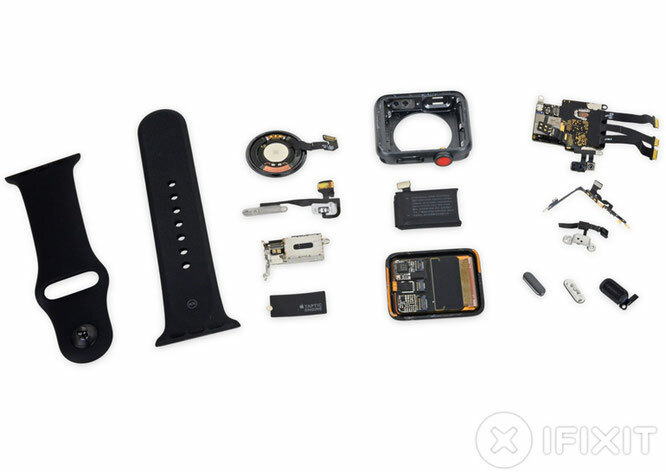 It is from the display that the disassembly of smart watches Apple Watch Series 3 begins. It can be disconnected with simple ZIF connectors. 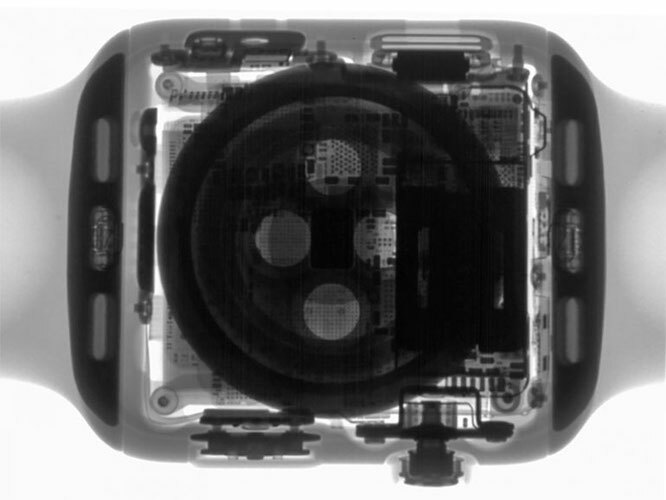 Replacement of the battery is also quite feasible after it was possible to get inside the case of the device. However, for this it will be necessary to arm with a specific screwdriver Y000. To complicate the repair process can three-point proprietary screws, which, in addition, have a tiny size. Replacing any component cable will require a micro-soldering. 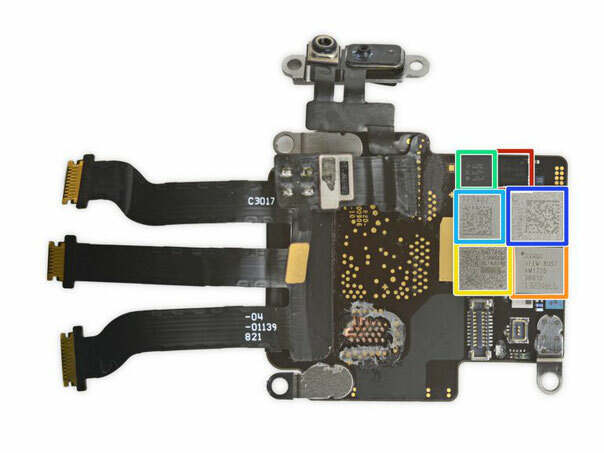 The Apple S3 chipset is encased in a polymer shell, which makes it almost impossible to repair most of the components on the motherboard. The same problem was observed in the Series 2 model.